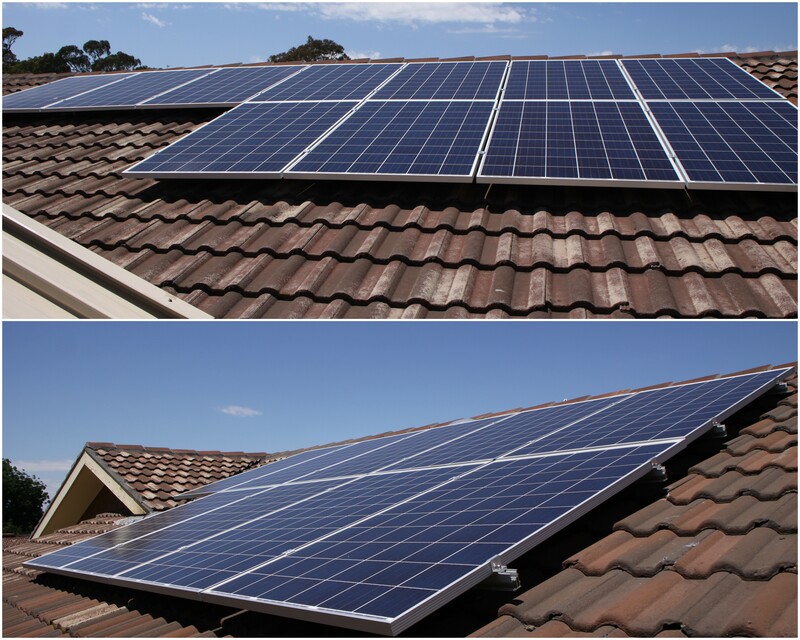 Australian Solar Designs specialise in the installation of Solar Power for your Home or Commercial Property. We are a Company that provides professional Engineering advice to determine the best Solar Power System to suit your home or business. We will inform you about all facets of the installation, from planning the layout of the system, the components that will make up your solar system, and arranging the connection of your system to the grid. Australian Solar Designs only supply Tier 1 Quality panels and high quality electrical components. We provide monitoring with all solar installations and will provide advice on how to maintain your system to keep your investment performing efficiently for many years to come. Australian Solar Designs have worked as preferred installers for significant companies and associations such as ACT Government, Harvey Norman Commercial, Solar Switch, Marks Group, RF Industries and many more. We have divisions in all major cities. Since the company has changed management the after-sales service is appaling. they took weeks to return phone calls (in the end I took to calling randomly hoping to finally get the service manager), and ditto emails. and when you did get onto them it didn't move anything forward - you just got a litany of excuses for not acting. Finally they misdiagnosed the problem, and told me that they problem was not covered by warranty, that no individual spare parts were available, so I would have to replace the whole inverter at my expense, and when they could get around to it. And when I challenged this they just gave me the number of the distributor (who only deals with suppliers) and suggested I call them and have the argument. Eventually I found someone else who was preapred to go around adn look at the system. They diagnosed and fixed the problem within 90 minutes of arriving, and at a cost less than a tenth of the cost ASD proposed. The worst experience I have ever had buying a product or service. 34 emails and a half dozen or more phone calls so far. Many of the emails were just to clarify exactly what I was requesting and what I was going to be quoted for. I was quoted for one system which I signed and paid a deposit for - there were no model numbers for the components just a generic description and then I was invoiced for another with different model numbers to those I'd been asking fo and after requesting a clarification the final invoice has less panels to the original quote. I could never have an investment that I hope to be trouble free for a decade or two be provided by this company. I have asked for a refund and if I don't get one I'll be cancelling regardless and looking at my options with an ombudsman. The company is now run via a call center. They were very attentive right up until the deposit was paid then the interest dropped away. They said installation would only take 4 weeks, it took 8 weeks. You have to call them and remind them or they forget about you completely. The service team were professional and friendly but check you driveway after installation, at least a dozen roofing screws were left scattered over our driveway waiting for my tyres. The display on the (Fronius) inverter stopped working and I advised their service section (same call center). That was five weeks ago, and still waiting. Their registered office is a house in a residential area of Kiama. You only have a 50% chance of getting anyone on the phone, you just have to persist. The 1300 number does not always work and the only other numbers they will give you are mobiles which go to voicemail. The owner of the business is unable to be contacted. I found your Webb site invaluable. I kept on referring back to it each step of the way, plus many hours research on other sites. My wife and I decided to go with Australia solar designs as they offered the Fronius inverter with Trinia panels cheaper than any one else could and Steve was the only one of the three recommended by Finn that actually came to our house. We did get Solarhart to our house but they wanted more than double the amount that Australia solar designs quoted. They are due this Friday for installation so fingers crossed all goes well. Thank you Finn for all the available info. For a complete novice it definitely helped. Well they were going to install the system about two weeks ago. The installers turned up and found they hadn't been given the correct stuff - wrong inverter, no meter and no optimisers so the panels would never work. A day away from the office for them to install the inverter and some wiring. Also a two hour trip to the house and two hours back. They were meant to go back the next week to finish. I call on the Thursday but it appears they only just found out they don't have the meter. Apparently a few days later they sent the meter but since the house is empty during the day that doesn't help. I call again and they say that 'Kristie' signed for it.
" Do I know a Kristie?" NO. "Maybe one fate servants?". Honestly, I have know idea what is going on, or why they sent a meter to an empty house rather than the installers (who still have my solar panels, and optimisers. Wes Green was very helpful and explained everything well. Aj From Australian Solar Design was so professional and the best service i have come across in my life i actually payed more to go with this company because of Aj customer service was really outstanding!! I have had the system installed for a year now and it has worked flawlessly from day 1. I chose Australian Solar Designs because of their consistently high quality reviews by past customers and I wanted a "done once and done correctly" installation which is certainly what I have got. Another point for me was that they use their own employees to do the site work unlike some others who simply outsource the installation to contractors. Australian Solar Designs were the only supplier to suggest that a battery solution may not be the best choice at the current time, but provided a solution which will allow me to add a battery at a later date with minimum re-design and cost. They seemed the most fair-dinkum about the products they sell. Their statements were backed up in full by my own online research. Very painless, with the Installer keeping me informed all through the process. Great job with no mess and the meter is running backwards at a great rate. In addition to the 3 quotes triggered through the amazingly informative SolarQuotes web site I also got quotes from two highly rated installers nearer to where I live. Those two came to the property for site inspections and very helpful discussion. 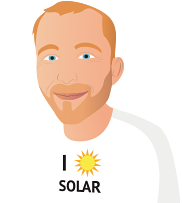 Scott Mason from Australian Solar Designs was outstanding and I chose to go ahead with him because of his excellent advice on component quality and suitability to a sea side environment, and being a locally based installer. Being in a small regional town I feel follow up service and proposed future battery addition would be much easier than with a capital city based company over two hours away. ASD's top ranking was also a big factor! Australian Solar Designs gave the very best quote and service for our needs, prompt honest people to deal with. Another organisation I believe mislead me about details as I had researched and overall quote was too much.